I have watched a lot of cooking shows in my lifetime and quite often I will see people making confit salmon and I have always thought 'why cook it that way, what a waste of oil'. But then one day my husband bought home Ocean Trout, which is like salmon, but better in my opinion and I thought I would give it a go. 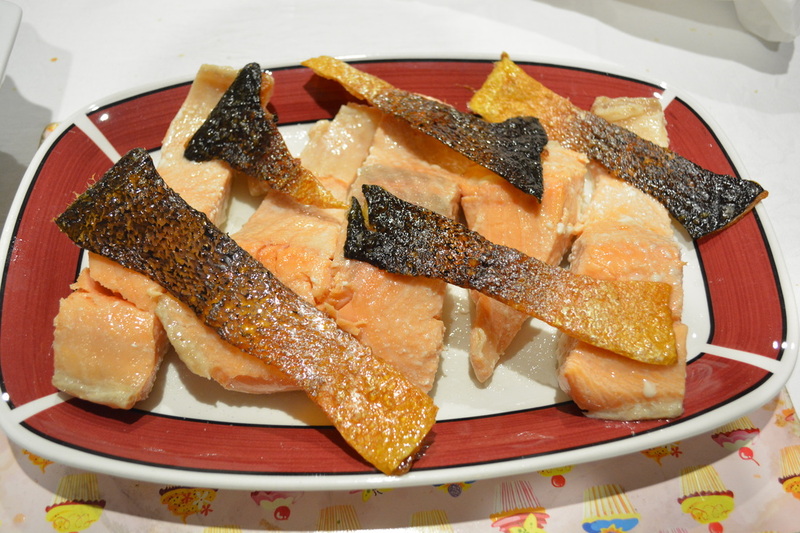 Well, I am now a true lover of confit salmon and confit ocean trout (as I have made it with both), the fish is amazing this way, soft, moist, delicious and put simply beautiful. And the skin, when you bake it this way it is super crisp, like a chip and it is so Moorish you just want more and more. So for those of you out there who are like me and doubt the need to confit salmon, I say give it a go, it truly is an amazing way to prepare this delicious piece of fish. With the salmon, you need to carefully remove the skin. Set skin aside on a plate, covered with cling film in the refrigerator, until needed, then proceed to remove and discard any bones and the blood line from the salmon. Place the flake salt and citrus zests in a mortar. Grind to combine well. Remove the skin and the salmon from the fridge. Wipe off the excess salt from the salmon. Preheat the oven to 160C. Line a baking tray with baking paper. Cut the skin into 4 equal pieces and place on your prepared baking tray and season well with salt. Cover the skin with another piece of baking paper, then place another flat tray on top. Roast in the oven for 30 minutes or until the skin is very crisp. Combine the oils and heat over a medium heat to 45C, use a thermometer, you need to be accurate. 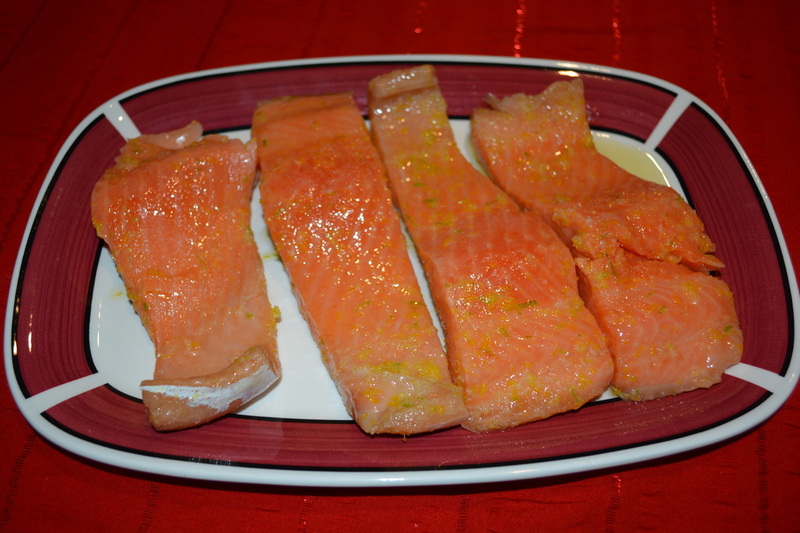 Submerge the salmon and cook gently for 15-20 minutes or until cooked. (If the oil heats up past 45C whilst the salmon is cooking, just remove from heat until it lowers to 45C again, then place back on the heat, you do need to pay attention for these 20 minutes to keep the oil at 45C). To make the mayonnaise, just combine the mayonnaise with lemon juice and stir well to combine. Set aside until needed. To serve place the salmon on your serving plates (or on a large platter) with some crispy skin, a dollop of mayonnaise and I quite like to serve it with broccolini.